It sounds like a variant of a famous and complex Latin dance, but Contango is actually a financial phenomenon involving the trading of futures-based commodities. For the layman it goes like this: take a product such as crude oil. If you buy it now, you pay X, the “spot price”. Due to market conditions, you’re confident that a year from now you can sell it for a higher price of X+, the “future price”. Such a situation is a Contango. To take advantage of it you sell contracts now to purchasers willing to take the commodity at the future date, price, and quantity. You are now a speculator or “arbitraguer”. The challenge becomes storing enough of it until that time comes to deliver the agreed commodity. As long as storage and other overhead costs didn’t exceed X+ (the “spread”), you turn a profit. The key of for those willing to do business was to find storage at cheap enough prices that made large purchases of oil contracts profitable. Here’s where history becomes stranger than fiction. The glut literally overran land-based storage facilities. In the United States, a small Oklahoma town called Cushing is considered the benchmark for crude oil as traded on the New York Mercantile Exchange. It’s status is derived from being a primary hub connecting many delivery points within North America, and it’s maximum storage capability is approximately 42 million barrels (about 10% of U.S. oil production). At the time of the Contango, it cost approximately $1 a barrel per day to store crude there. But the oil glut had a big side effect – a lot of tankers were idled, and thus their operating prices declined. Around November of 2009, the daily rate for a million barrel capacity crude carrier was $10,000 a day at it’s lowest. The profit “spread” looked to be about $10 a barrel. Those market conditions made it very attractive for firms with the wherewithal to take full advantage of the Contango. Care for a dance Contango? 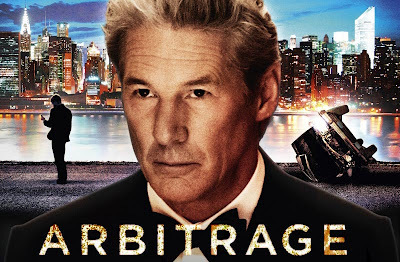 And what a list of arbitrage firms there were – Citibank, Morgan Stanley among them. While banks are typically loath to touch anything but paper instruments of commodities (i.e. not purchase the assets themselves), here they were directly chartering any decent-sized vessel capable of holding a million barrels or more. These were some of the very same institutions that took it on the chin during the Global Financial Crisis, and had every incentive to make up for their losses. The result is a sweeping trend of world-wide seaborne oil-storage. In the end, all the tankers that the various arbitrage players could get their hands on could have formed a 26-mile long convoy of Very Large Crude Carriers (VLCC), totaling about 130 million barrels, or a little over 12 times what would normally be found at sea at any given time in recent history. All of it swinging at anchorage in major ports around the globe, for a year or more. The maritime security implications are numerous, and represent challenges for consideration. With that much crude afloat and idle, the period of The Great Oil Contango presented one of the largest and most tempting targets for terrorist and other actors to strike and prolong what was already an immensely unstable global financial crisis. The risk potential was heightened by the fact that the glut easily overwhelmed the best efforts of ashore storage locations such as Cushing to supplement their capacity, adding anywhere from 5-to-10 million barrels of space. The second-order effects are worth noting too: First, the chartering frenzy impacted not only the industries that used crude carriers, but spilled over to other sectors as firms moved beyond floating tankers and hired other types of ships for their storage capacity. Second, oil refineries eventually had to shut down or reduce shifts as OPEC and other oil producing concerns acknowledged market forces and cut back production output. The potential environmental and safety impacts of that much oil afloat is staggering. As a comparison, the worst spill in modern history is the Deepwater Horizon well disaster – which sent about 90 million barrels into the Gulf of Mexico, devastated the U.S. southern coastline and surrounding waters, and required two years to complete major cleanup operations. 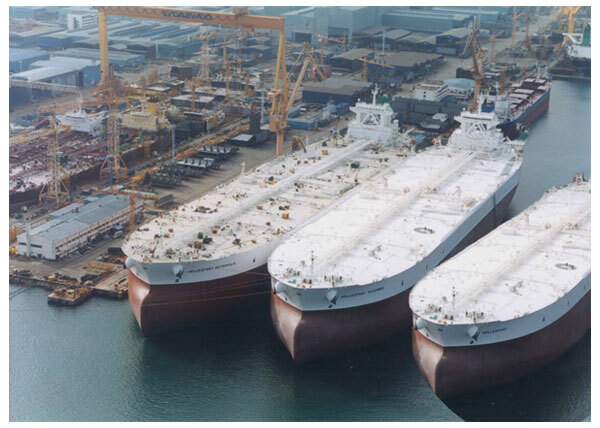 The number of ships filled to the brim also increases the risk of partial spills and fire/collision hazards during the offloading, such as ship-to-ship transfers. The Contango also caused an unintended and negative effect on the Strategic Petroleum Reserve (SPR) – several countries released their SPRs because of the market’s perception that there wasn’t enough oil in distribution – that was true – to the extent that much of it was being set aside by the arbitrageurs. While the SPR technically increased the amount of oil available on the market, it also further drove down the Spot Price (X), thereby increasing the “spread” or price differential of the Futures Price (X+). Therefore, there the incentive for abitrageurs to release any of the oil they already had was further reduced. In fact, by releasing the SPR, those nations put at risk their capability to respond to a crisis such as a wartime footing where energy to power the military is most needed. Historically, the Contango ended, or more accurately declined, when too many arbitrageurs entered the market and wiped out the remaining availability of product, driving up prices. By doing so, they reduced the price “spread.” Additionally, the particularly harsh winter of 2010 made it attractive to unload stockpiles and cash-in as fuel demands were at an all-time high. Finally, a regulatory investigation by the U.S. Commodities Futures Trading Commission (CFTC) on practices such as the oil-storage trade convinced investments firms and traders to move on to greener pastures. Lessons Learned: the vagaries and complexities of the modern financial market have many effects, most of them unpredictable, especially when dealing with energy supplies. In 2008-2009, several factors came together that not only artificially imposed limitations upon the world’s oil supply, but had indirect effects upon world shipping and national petroleum reserves. What was also interesting to note is that as instability began to threaten traditional supplies of oil (say the Libyan Uprising), the market price spread started to narrow as consumers were more than willing to pay an elevated spot price for energy now. The Contango also highlighted the growing influence of non-state actors such as corporations and financial firms to indirectly influence the availability and price of oil. Previously, the oil commodity market was a reasonable reflection of global supply and demand, the presence and practices of OPEC notwithstanding. Surprisingly, for the time period during and shortly after, there wasn’t a lot of open-source intelligence or even published articles on the strategic and security implications of The Great Oil Contango. Everyone appeared to be focused on the monetary and market impact, but little else. It behooves us as industry professionals and observers to be aware of these developments and understand better the linkages to strategic security and public policy. One future trend we can expect is the greening of major navies as nations seek to minimize energy supply impacts to their foreign policy and military capabilities.